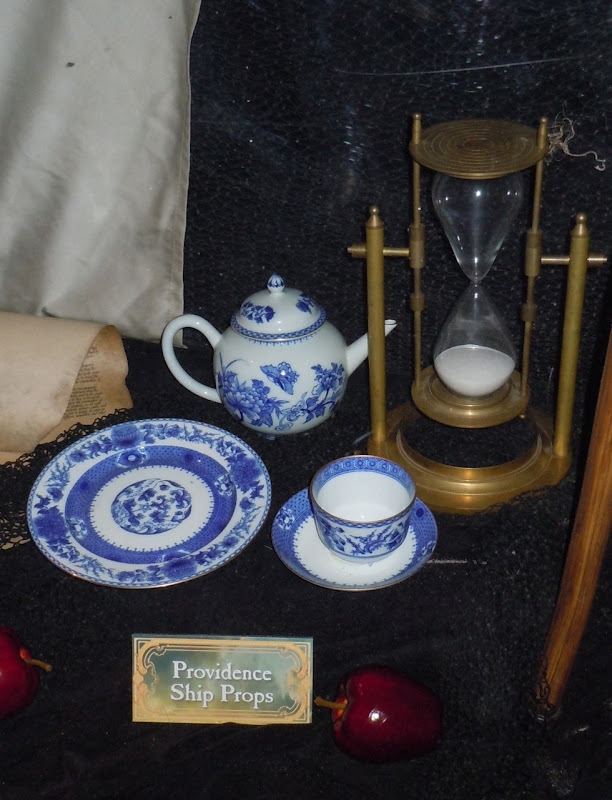 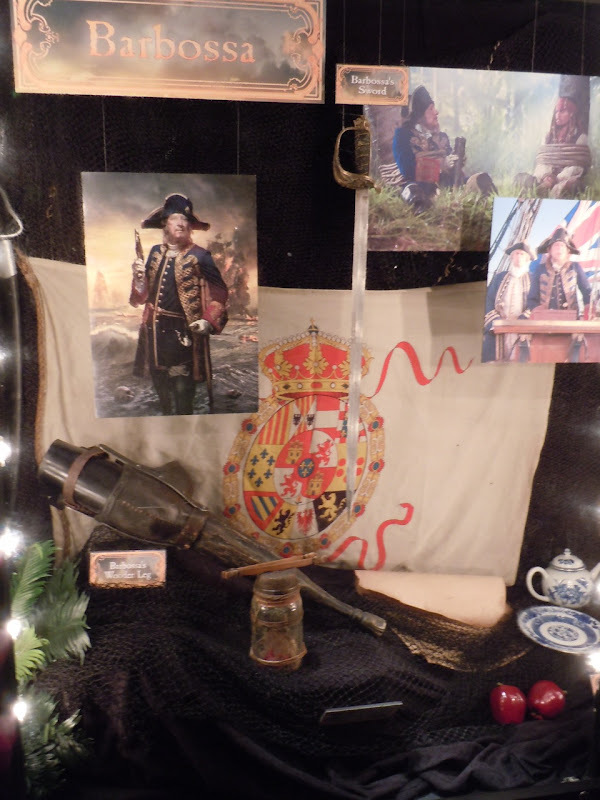 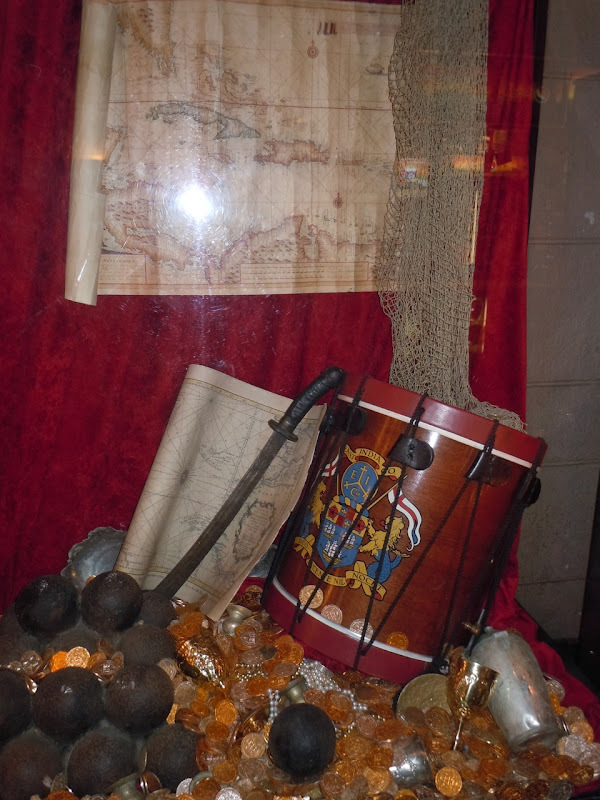 In addition to all the original costumes on display at the El Capitan Theatre in Hollywood, there was also a wonderful selection of props used in the movie exhibited too. 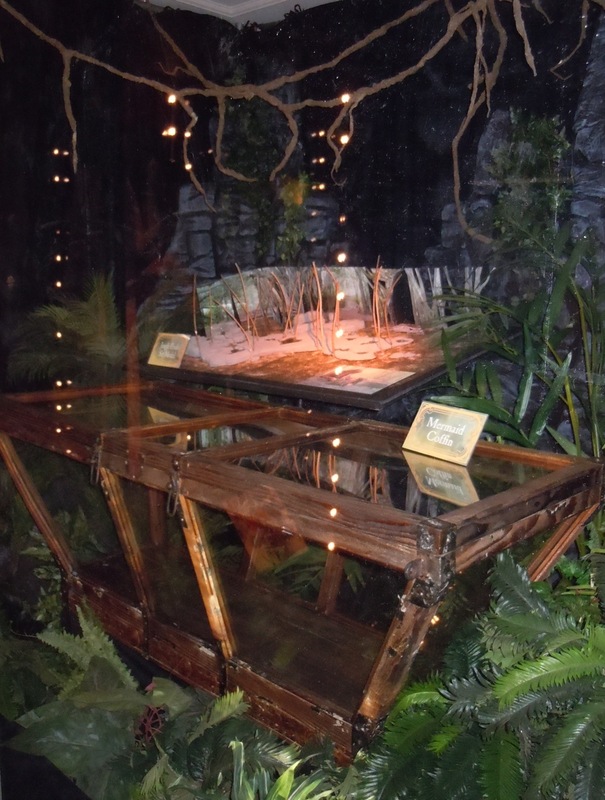 One of the more fantastical items on display was this cool Mermaid Coffin prop used to carry the captured mermaid, 'Syrena', through the jungle in the movie. 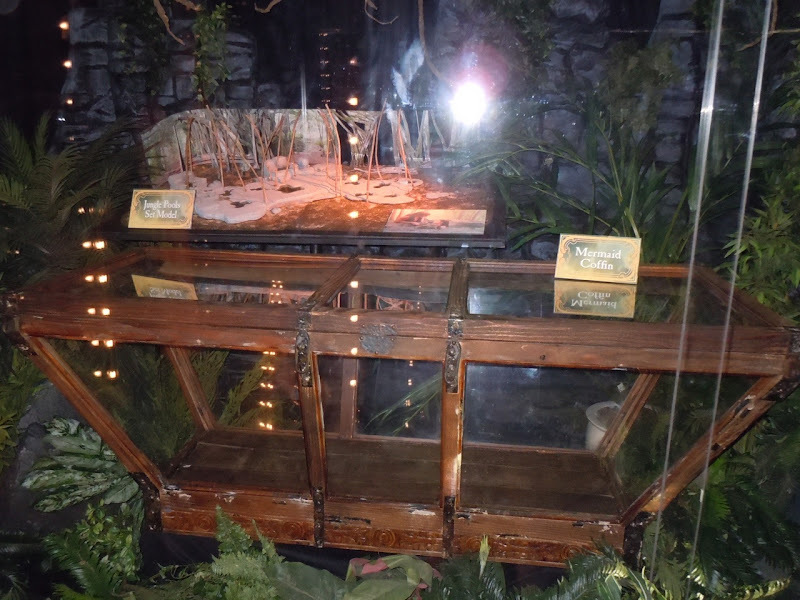 Exhibited behind that was the jungle pools set model. 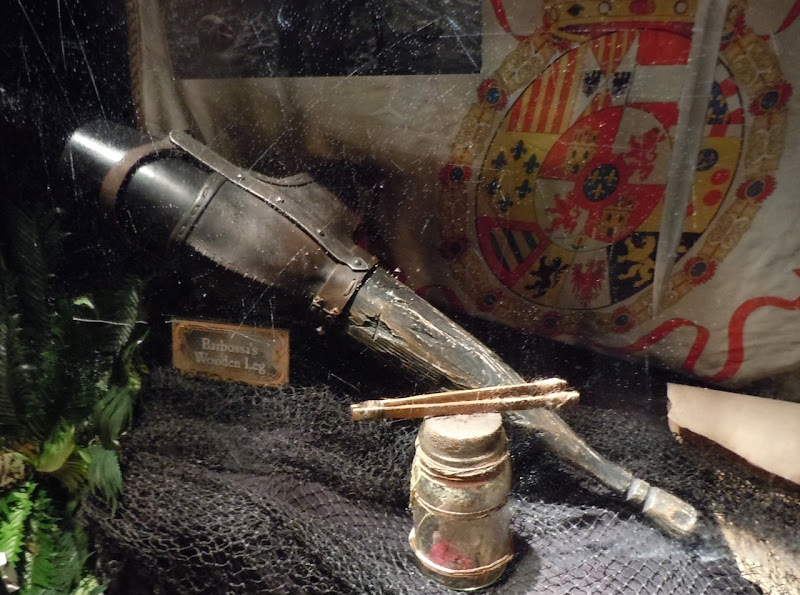 Next are a collection of props used by 'Captain Barbossa' in the fourth cinematic installment in the Disney franchise, including his new wooden peg leg, his sword, the china crockery he drinks from on the Providence ship and even the jar of poisonous frogs, whose venom he uses to coat his sword to get his revenge against Blackbeard. 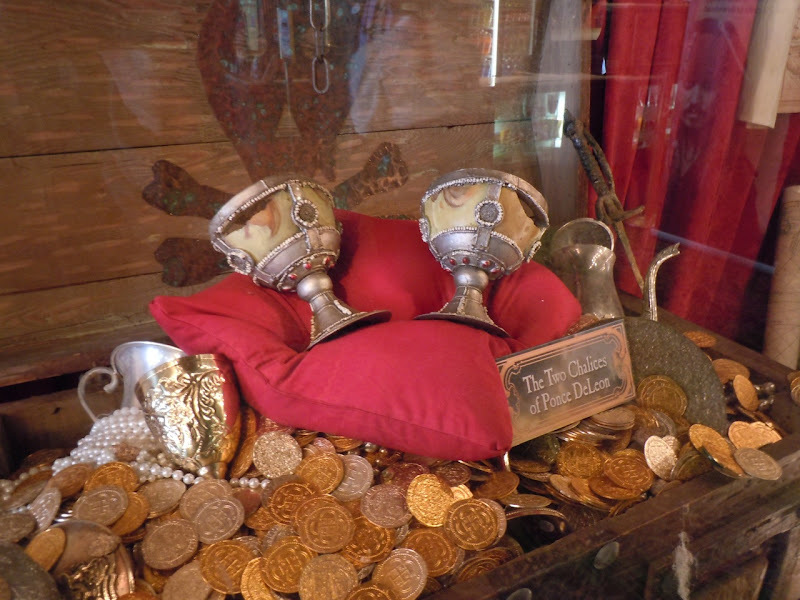 If you're a fan of the pirate, be sure to check out Captain Barbossa's new costume worn by Geoffrey Rush on display. 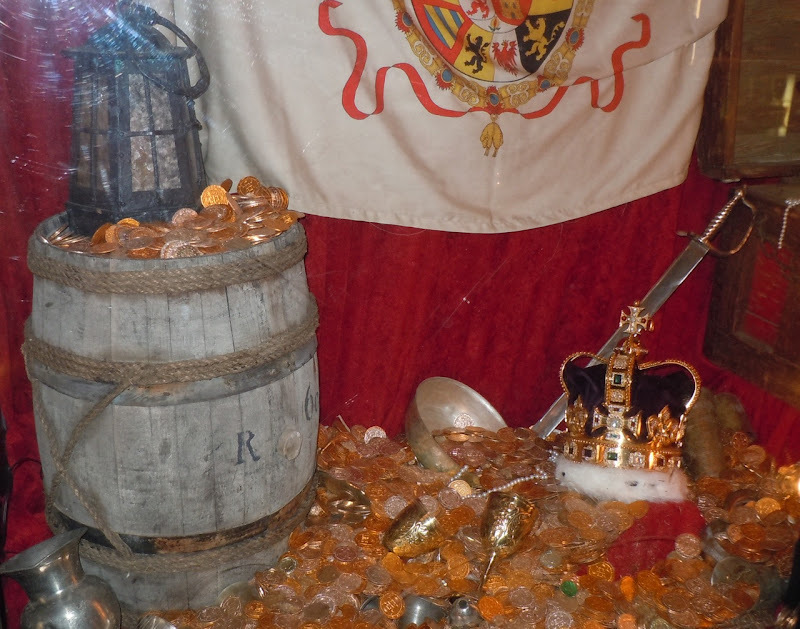 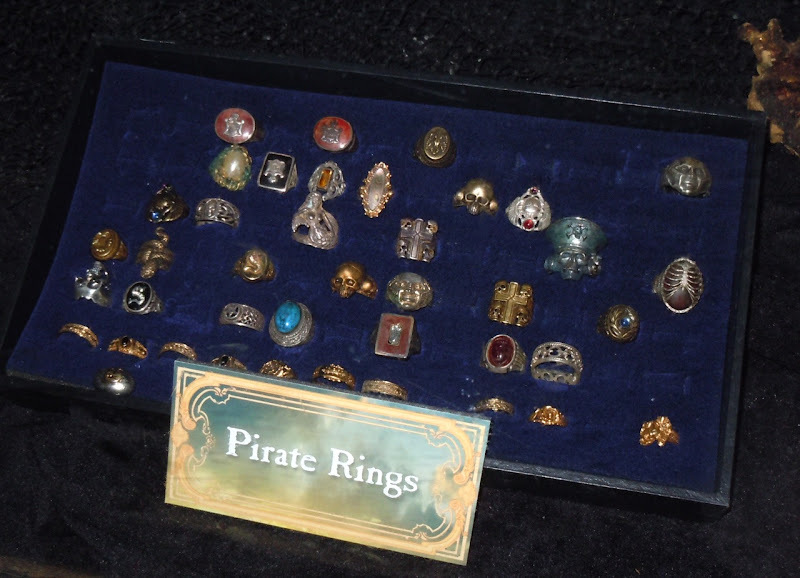 They also had these costume jewelry rings on display which helped the actors get into character as pirate crewmen. 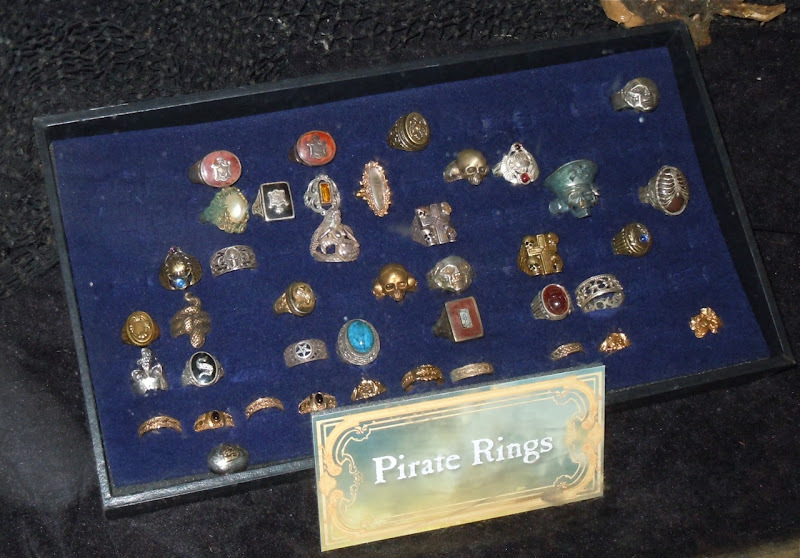 Finally here's an assortment of props photographed on May 23, 2011, which include the two Ponce DeLeon Fountain of Youth chalices which are integral to the plot, several pirate pistols, some manacles from Blackbeard's Queen Anne's Revenge pirate ship and other original props that helped bring the world of Pirates of the Caribbean to life. 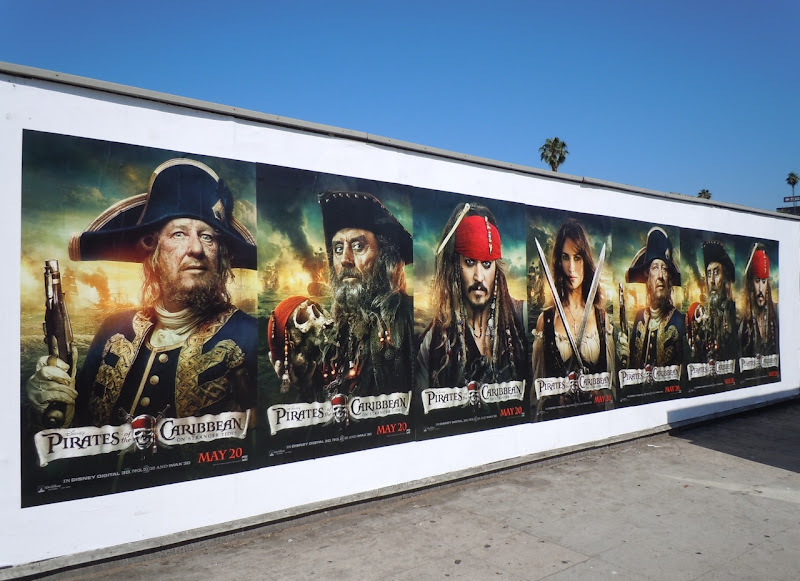 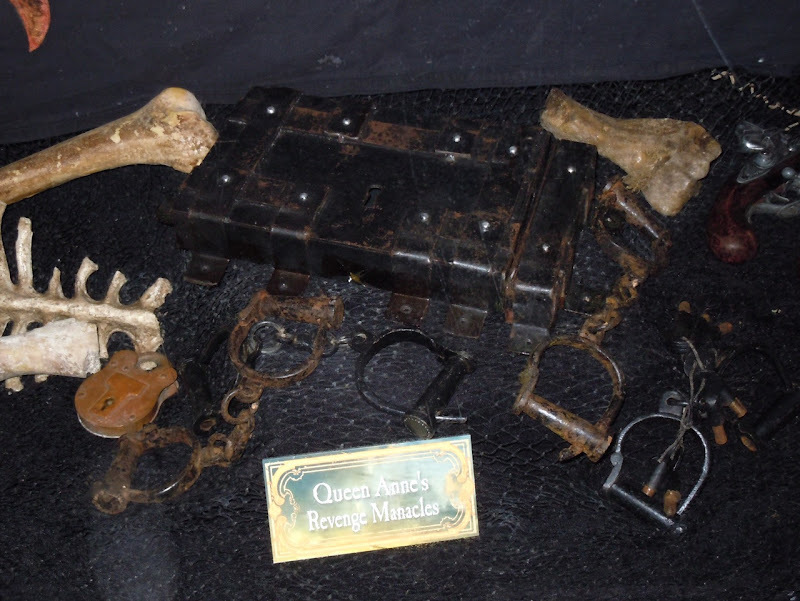 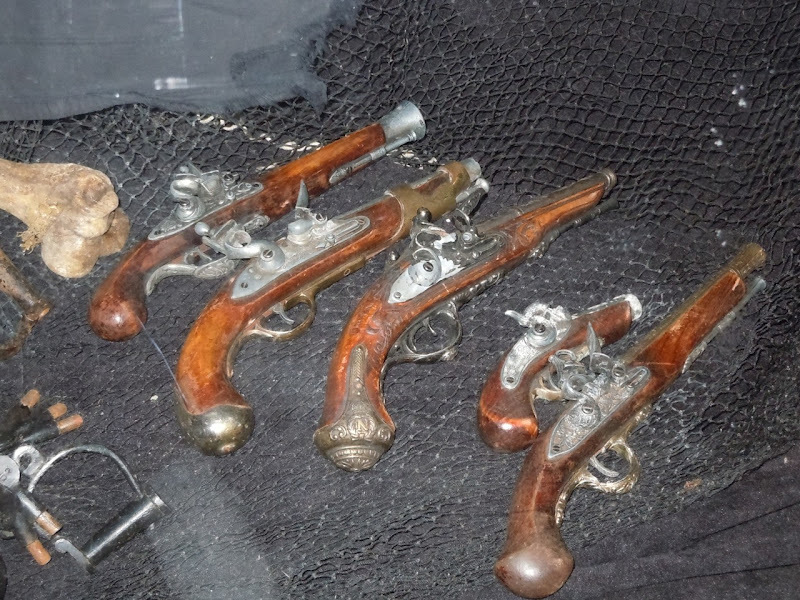 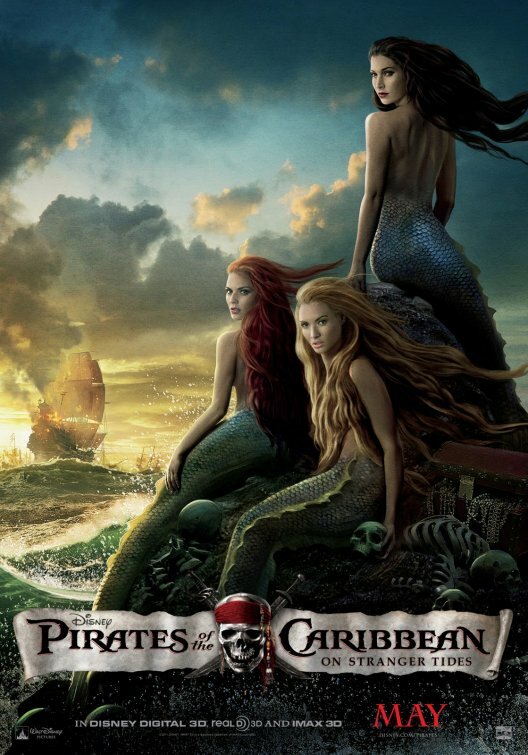 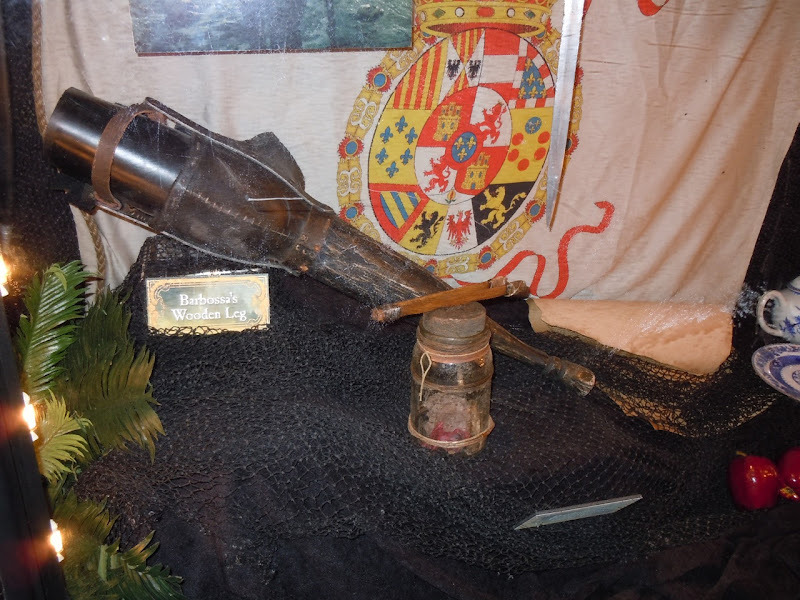 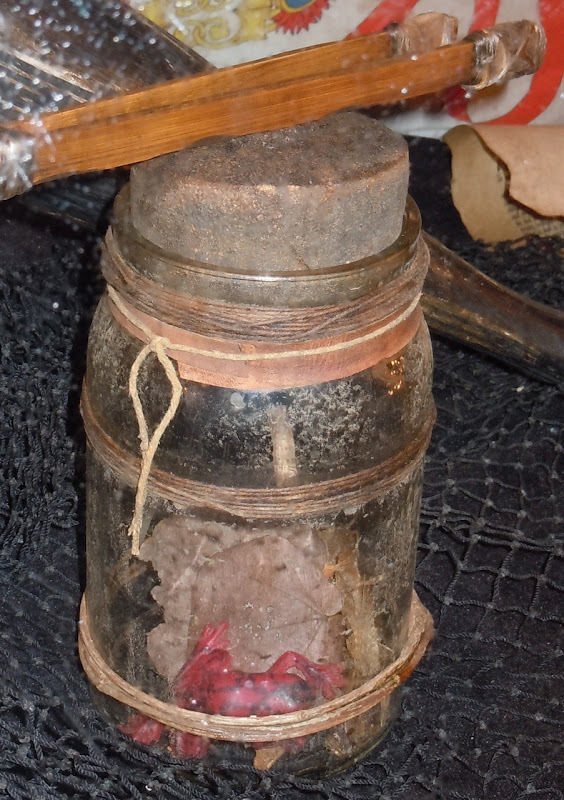 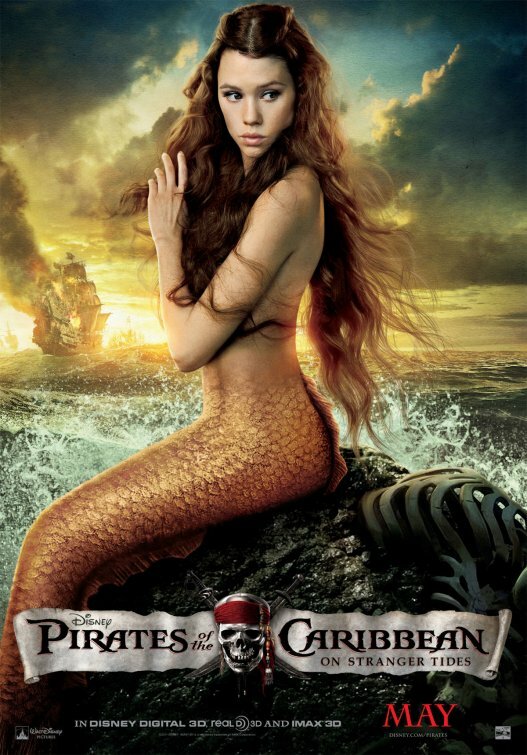 You can also check out more Pirates weapon props here at Hollywood Movie Costumes and Props.